The end of the semester often brings stress, sickness, and snow- but something to make it better is skating! Whether you’ve never skated before, you’re a hockey enthusiast, or you’re a figure skater like I am, there’s always a great time to be had practicing your skating. 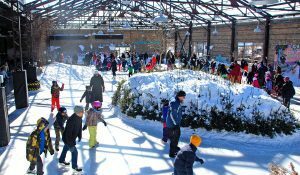 Here are some rinks you might want to check out! 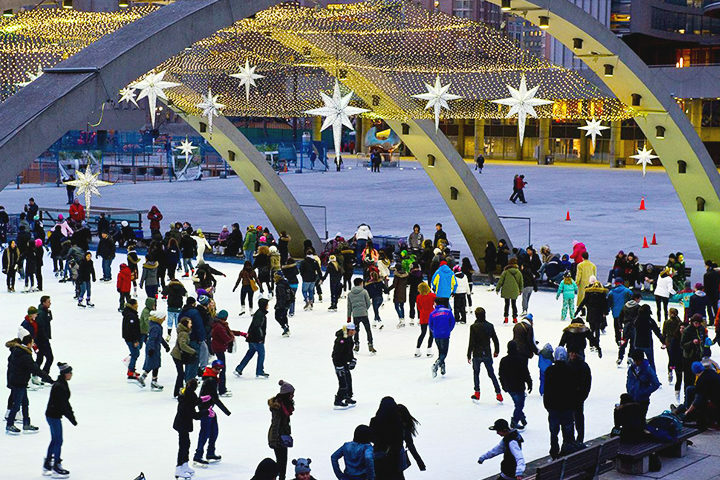 Last Saturday, November 24th, was the opening day for Nathan Phillips Square! The cavalcade of lights, an annual event, was full of holiday festivities and a great way to kick off the season! Check it out and take some iconic photos in front of the Toronto sign. You can rent skates and helmets here. The Bentway, the figure-8 shaped skating trail located downtown underneath the gardiner expressway, will be opening this year on December 21st. They offer skate rentals and skate lessons, food and beverage vendors, spots to get warm, and wifi! The Natrel Rink, located right on the lake at Harbourfront, is open every day from 9am-10pm, weather permitting. Heated change rooms with lockers will get you out of the cold while you put your skates on, and they offer helmet and skate rentals. Last weekend was opening weekend for the arena at the newly renovated Ontario Place. This synthetic rink is open whatever the weather until 11pm! 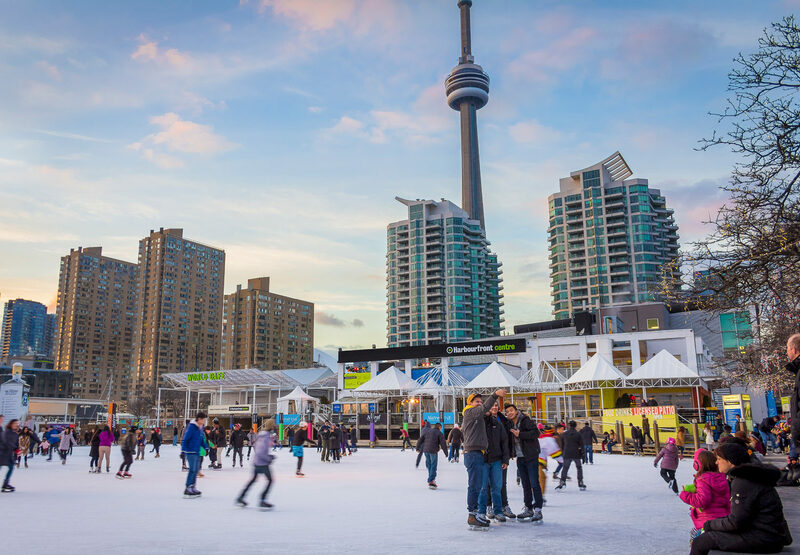 You can rent skates and helmets, and there is always a stunning view and rotation of DJs you don’t want to miss out on! Hopefully you can find time during the busy end of the semester and take a break from exam studying to get out and skate!